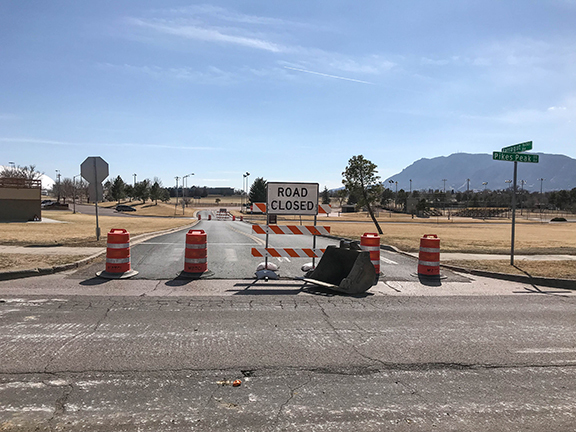 The City of Colorado Springs and Wildcat Construction began the major road improvement project in September 2017. The project is divided into four major phases of work. The phases of work will overlap in order to complete the project in a shorter duration. Phasing is subject to change and weather dependent. The project is anticipated to be complete in summer 2019. Mountain Metro Transit routes will be redirected in this area during the closure. Visit mmtransit.com for updated route information. Delays are expected. All work is weather-dependent and schedules are subject to change. 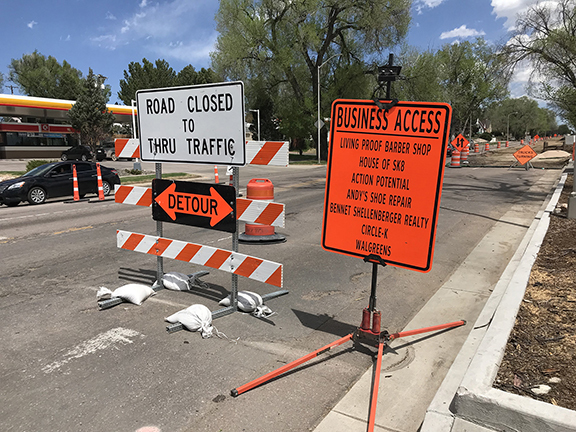 Local access to nearby businesses and residences will be provided throughout the intersection closure. 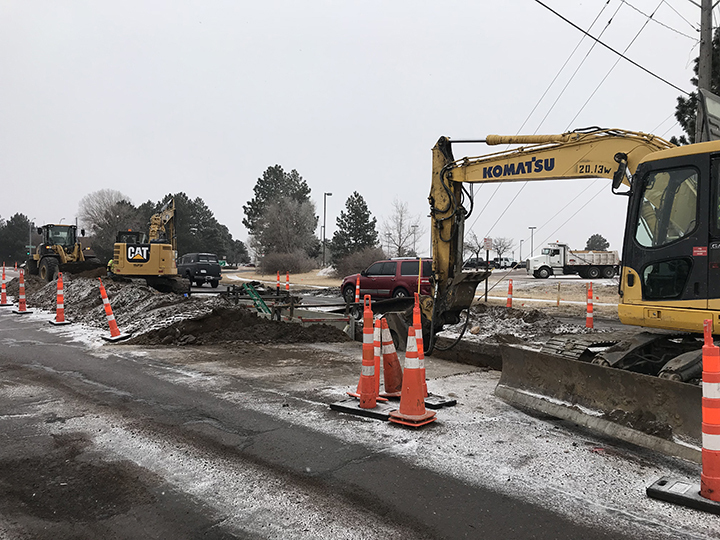 The Pikes Peak Avenue roadway and its utilities are 60-100 years old and reconstruction will improve safety and travel by creating a smooth road surface and replacing water, gas and sewer lines. For more information, contact the project hotline at 719-593-9239 or email at PikesPeakAvene@gmail.com. Work began on Phase 1 activities in September 2017. 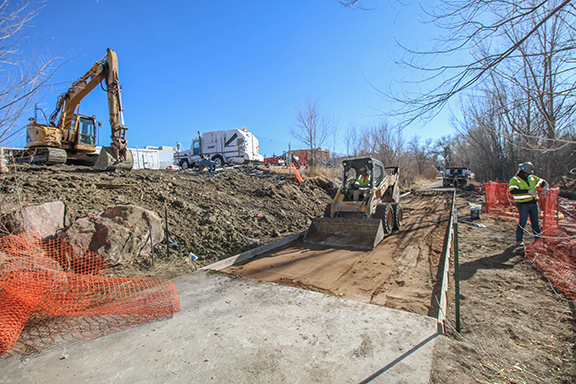 Beginning in December 2017, Wildcat Construction began extending the new storm sewer drainage system eastward with the placement of the 78” diameter concrete storm pipe down the middle of Pikes Peak Avenue from Shooks Run Trail. Motorists will see concrete barriers lining either side of the work zone while one lane of traffic will be maintained in both directions at all times. When sidewalks or cross walks are impassable, pedestrians will be directed to the closest alternative route. Shooks Run Trail will be closed intermittently in December 2017 and January 2018 during daylight hours, pending weather conditions, while the General Contractor completes the Wing and Head Walls for the new storm sewer drainage system. The work will conclude with placement of the ground cover around the structures as well as a new section of concrete sidewalk for the Shooks Run Trail. Metro Transit will continue to operate along the corridor. Service at some stops may be temporarily discontinued during construction and redirected to adjacent stops. Rider alerts are available: Please call 385-RIDE. 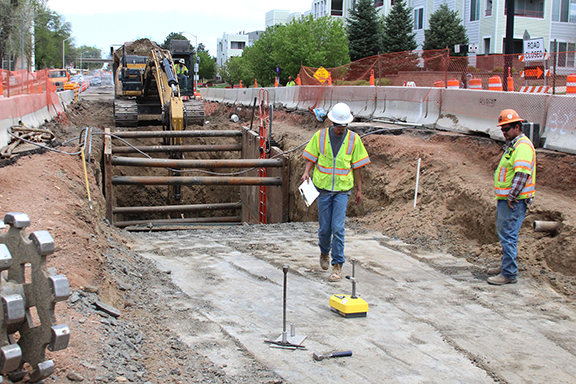 The Pikes Peak Ave Reconstruction is a Pikes Peak Rural Transportation Authority (PPRTA) project. It was listed as a Priority A project on the November 2012 ballot. The initial funding for this project was authorized by the PPRTA Board in June 2015. Pikes Peak Avenue is an important east-west corridor leading in to and out of downtown. The roadway and utilities are at least 60-80 years old within much of the project limits, between Shooks Run and Printers Parkway. Most of the pavement and concrete curb and gutter has exceeded its useful life and has deteriorated to the point where a full reconstruction is the best option to ensure that the corridor will continue to have many years of acceptable performance. 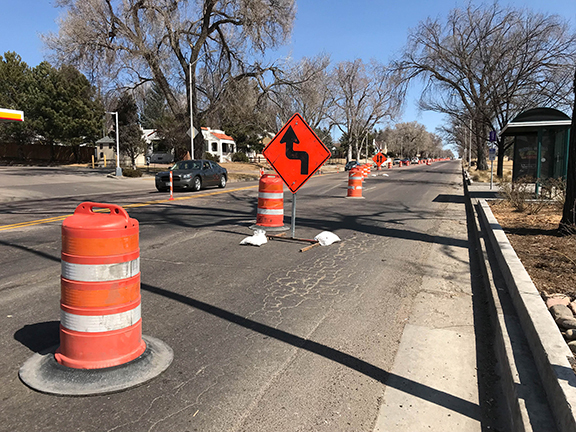 In 2016, the City hired AECOM to analyze existing roadway conditions, recommend repairs and prepare construction plans to improve travel and public safety. A public meeting was held during the design phase of the project to provide citizens and business owners an opportunity to review and comment on the proposed improvements. In addition to the public meeting, the design team had numerous one on one meetings with adjacent property owners, including Memorial Park. 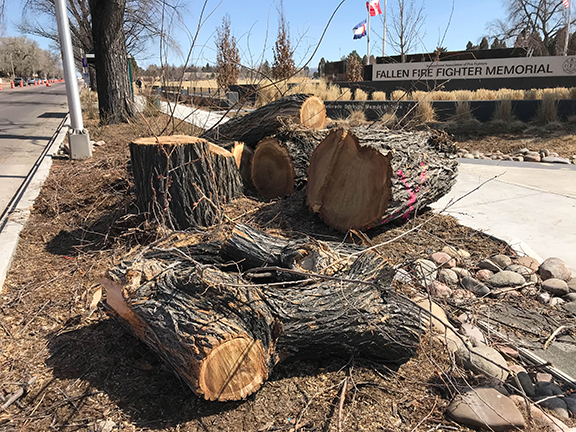 Memorial Park is a valuable asset to citizens and visitors, the project team will continue to regularly communicate with the Memorial Park event staff to attempt to reduce the impact of the project on the park's programming. The project is funded by the Pikes Peak Rural Transportation Authority. 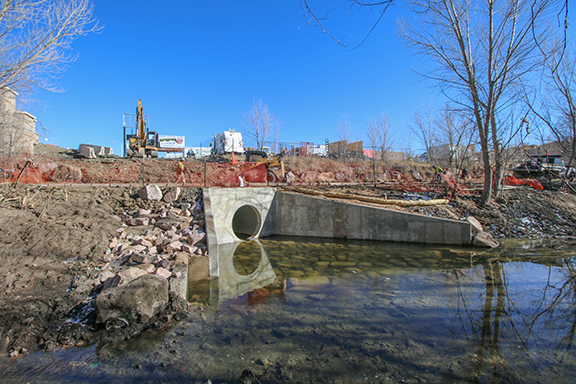 The City of Colorado Springs advertised for the professional services necessary to complete this project in October 2015. Proposals for the project were due in November 2015. AECOM was selected as most qualified from a qualifications based selection process. The city project manager and AECOM negotiated a scope and fee for project services. The City of Colorado Springs recommended that the PPRTA Board approve the proposed contract at the February 2016 meetings. Ultimately the contract was executed in March of 2016, at which time AECOM began working on the design of the project. 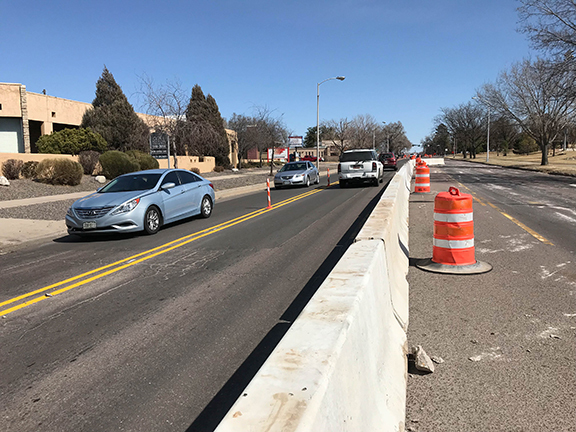 Motorists will experience a smoother ride on Pikes Peak Avenue after the road is reconstructed to correct road grades and upgrade drainage facilities. 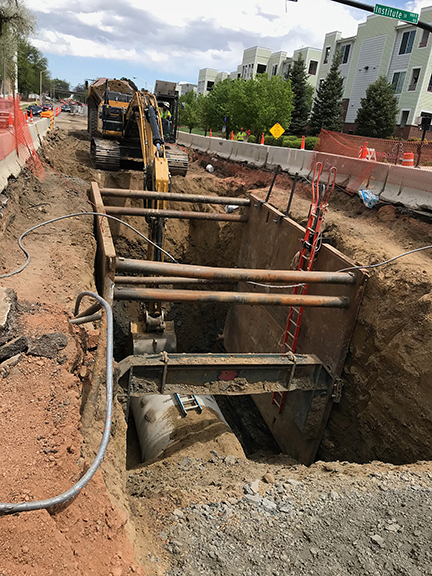 The entire roadway will be completely reconstructed from Shooks Run to Printer's Parkway, this will involve removing the existing roadway material and replacing it with a more robust layer of base material and a thicker asphalt pavement layer. The existing drainage system will be abandoned and replaced with a substantially larger pipe system. Pedestrians will also benefit from improved conditions. Curb ramps will be removed and replaced along the entire corridor. Damaged sidewalk will be removed and replaced and missing sidewalk will be installed. The City of Colorado Springs advertised for the construction services necessary to complete the reconstruction in June 2017. Bids for the project were due July 2017. 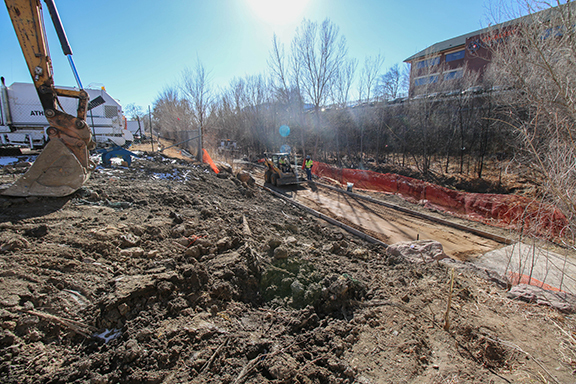 Wildcat Construction's bid was most advantageous to the City of Colorado Springs. 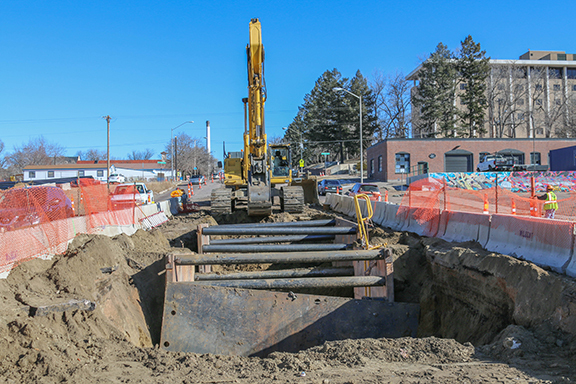 The City of Colorado Springs recommended that the PPRTA Board approve the proposed contract with Wildcat Construction at the August 2017 meeting. The PPRTA approved and executed the contract in August 2017. Wildcat Construction was give the notice to proceed with the contract work in September 2017. 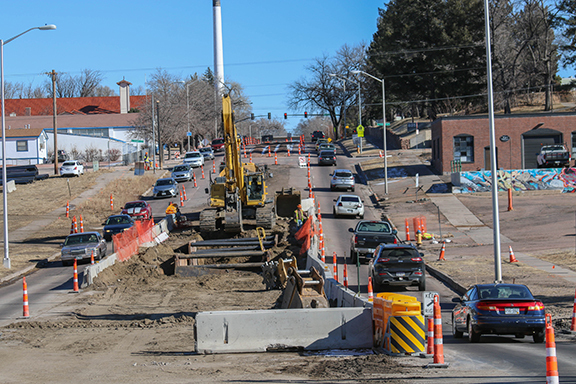 The reconstruction of Pikes Peak Ave has been phased into 4 phases. The phases will overlap in order to complete the project in a shorter duration. The phases of the project are illustrated below. Construction began in September 2017. The extensive amount of work that is involved with this project will require two full construction season. The entire project is scheduled for completion in summer 2019. Beside roadway improvements, what else is included in this project? Curb ramps and damaged sidewalks will be replaced throughout the corridor. A number of substantial utility replacements will be completed with this project. 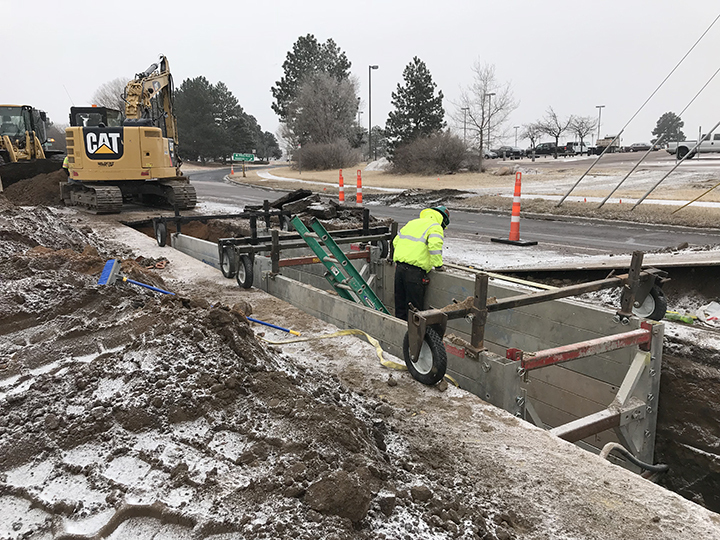 The stormwater conveyance system will be replaced and Colorado Springs Utilities will be replacing a substantial amount of water and sanitary sewer lines. How can I contact the project team? 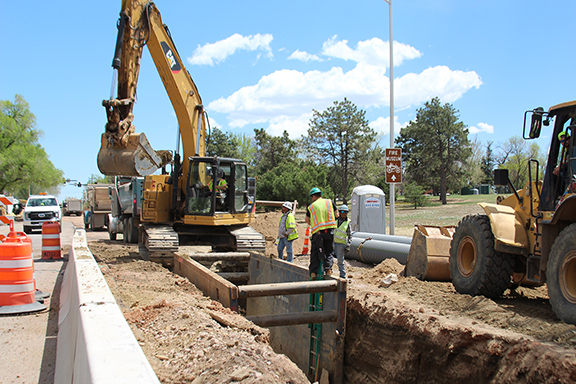 Installation of the sanitary sewer drainage system on Pikes Peak Avenue. Pikes Peak Ave. is closed through the Union Blvd. intersection but businesses are open and accessible.